In July of 1997 as I approached my 44th birthday, my wife, as is typical, asked me what I wanted. I told her, probably under the influence of too much wine, that I wanted to jump out of an airplane. To my surprise, I was greeted on my birthday, September 9th 1997, with a gift certificate for a tandem skydive. And in case I was having second thoughts, she even made a reservation for the following Saturday morning. Saturday arrived and Susan, our two young daughters and I made the drive to Skydive the Ranch, a drop-zone in upstate New York. By then I was definitely having second thoughts. After all, I may have forgotten to mention my fear of heights and flying. However, my daughters were so excited I really couldn’t back out. I remember everyone I met that day. All of the staff were dedicated to making it a fun experience. One young woman in particular, assured me that ‘skydiving is so safe they even let men do it.’ The actual jump was tremendously exciting and is preserved on video. My kids still like to take it out and watch it from time to time. The youngest even has her own skydiving video now. Excitement over, that really would have been the end of my skydiving career. Except that a few months later my daughter’s saxophone teacher mentioned he had recently completed his first tandem skydive. He and I started talking about the experience and somehow convinced ourselves to go back to the dropzone and enroll in their freefall course to learn how to solo skydive. In April of 1998 we both started. It took me almost 18 months to earn my skydiving “A” license. Around jump 41, I finally hit my stride! Since then, I’ve just been having fun. I’ve had the opportunity to travel to about twenty different drop-zones and meet lots of interesting new friends. I’ll jump as long as I can. So, when people ask me why I skydive, I can honestly say it started as a dare but now I’ll jump just because the door is open. LEARN MORE ABOUT OUR OTHER MEMBERS! Don’t wait for the conditions to be right. If you see something you want to try, go for it. You may even inspire someone else along the way! Creating balance in your life can be tricky. 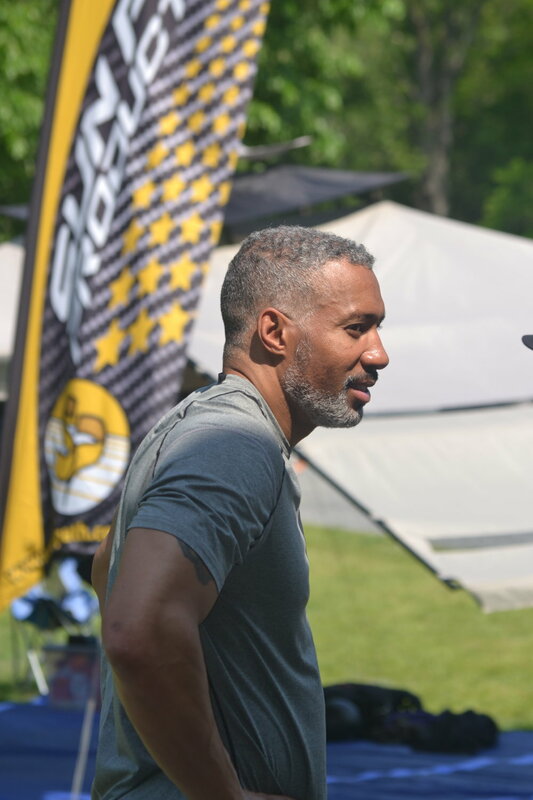 Here are some reflections on my experience creating an amazing balance in my own life—one that takes into consideration work, play, and especially rest—as well as the work it took to get there. 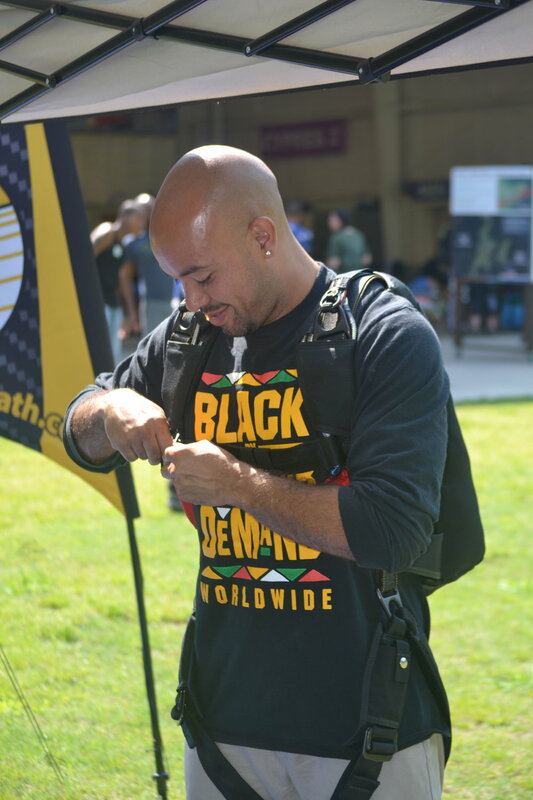 Nicholas Walker is an African American competitive skydiver with ten years in the sport and over 1,050 jumps. 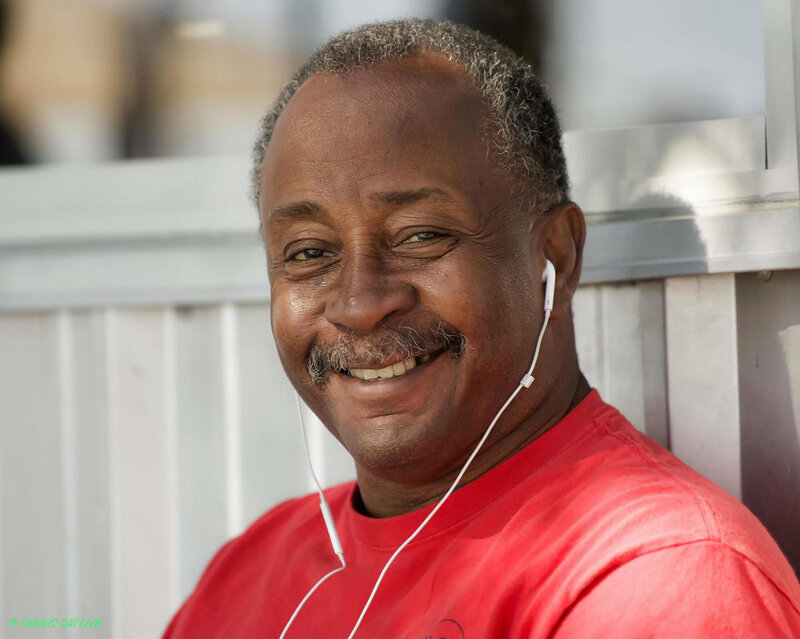 He’s also a 3rd generation military veteran who first learned how to survive, adapt and thrive through a childhood that spanned two continents, six schools and almost losing a parent—twice. Kyra Poh's distinct style of indoor skydiving is the product of immense dedication and over 300 hours of body flight in wind tunnels across the world. In between busy training and competition schedules, Kyra graciously spent some time sharing her thoughts about her journey thus far—her recent projects, sources of inspiration, and creative process. "No, but where are you really from?" 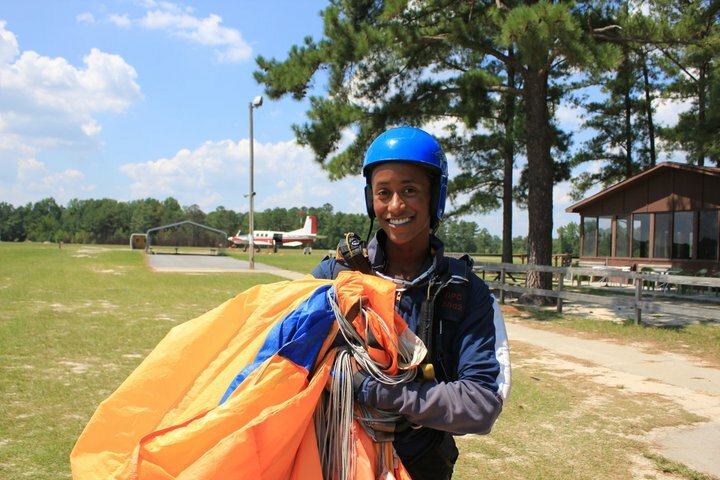 is just part of the lived experience of Women of Color in outdoor adventure sports. We're a minority within minority that enjoys both the best, worst and weirdest aspects of giving your heart to the outdoors. Today we're talking to four Women of Color who spend their weekends in free fall from 13,000 ft to hear their perspectives on balancing multiple hyphenated identities in the skies. 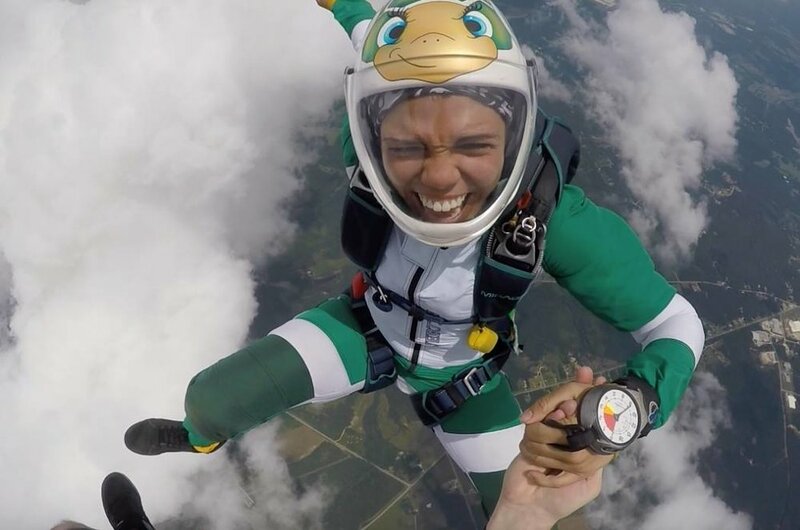 We're back with five Women of Color speaking about our experiences within the skydiving community. The process that happens right before one makes a skydive is quite marvelous. You draw up a plan for the dive (or in some cases there is no plan at all). Safety check and don your gear before boarding the plane. The plane ride up is a different experience for different people but it oscillates between, napping/ taking in the nice views/ actually thinking of the jump/ or wondering what I'm going to have for dinner later. I'm most acutely aware of how much I stand out whenever I travel to a new drop-zone. I usually groan inwardly while well meaning staff ask me if I'm here for a tandem or try repeatedly to steer me towards the tandem classroom despite the gear bag, helmet bag and logbook in hand which typically signal "experienced jumper." Later, if a staff member wants to know "did you enjoy your skydive" in the overly saccharine tone reserved for the recently converted, I nod and play along.